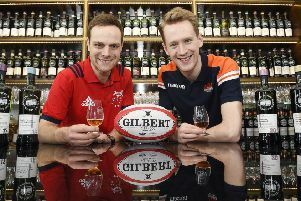 Edinburgh prop forward Pierre Schoeman admits that Saturday’s massive Munster showdown at BT Murrayfield in the Heineken Champions Cup is exactly the kind of occasion that attracted him to leave South Africa and pursue a new life and career in Scotland. The 24-year-old loosehead from Pretoria has been a revelation since penning a three-year deal last summer, and has aspirations to qualify to play for Scotland on the now five-year residence rule but, for the time being, it is big club games like this weekend’s that focus his attention. Edinburgh face the two-time European champions in what is just their third foray into the knockout stages of the elite club competition. Home coach Richard Cockerill has his formidable international players at his disposal, although Schoeman is likely to keep his fellow South Africa born loosehead and Scotland cap Allan Dell out of the side. Schoeman says he is delighted about becoming one of those leader figures so shortly after joing the club. “Very pleased, but I must give credit to coach Cockers and the management, as well as the players,” he said. “You learn a lot from guys like Ross Ford, Stuart McInally, WP Nel, even Allan Dell, guys that have been there in games and that’s international rugby, not only club rugby. Schoeman has been to BT Murrayfield to watch Scotland games and is now looking forward to getting a taste of the national stadium packed out far more than a standard Edinburgh home game. “I’ve watched most of the Scotland games played at Murrayfield. The standout one was obviously the Springboks versus Scotland [in November],” he said. “I’d also like to play in front of those fans, especially watching the 60,000 people after the game, going into Edinburgh city and just enjoying the moment all together, singing the anthem. It was phenomenal. Munster centre Rory Scannell, meanwhile, is expecting a “massive test” against an Edinburgh side lead by a man steeped in the famous rivalry the Irish side have with Leicester. Cockerill was assistant coach in 2007 when the Tigers became the first team to beat Munster at their Thomond Park fortress in a European game and had the top job four years ago when they won again in Limerick. “It is a massive test,” said the 25-year-old, who has three Ireland caps. 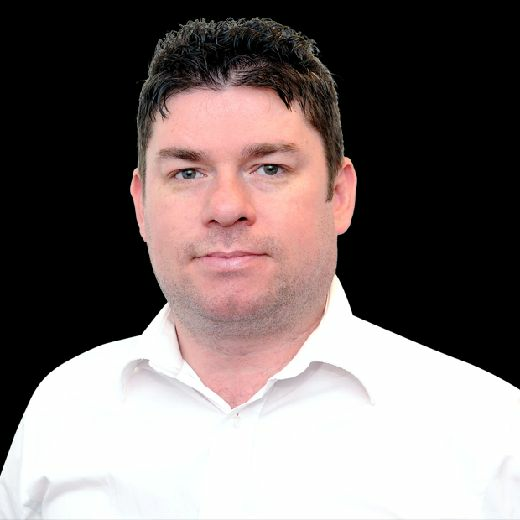 “When we played them in the [Guinness Pro14] quarters last year at Thomond it was an incredibly tough game and there was only one point in it in the last ten minutes. We ended up pulling away, 20 points to 16 on the day. “They have improved massively since Richard Cockerill came in. 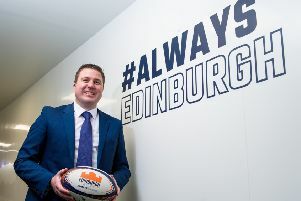 As a player and a coach he has beaten Munster with Leicester so he will have belief that Edinburgh can do the same. Over the last few seasons it has been predominantly Glasgow players making up the Scottish squad, but that’s definitely not the case any more. Scannell will be focused on the midfield battle but knows that much will be determined by the outcome of what is expected to be a fearsome forwards contest. “They have a massively physical pack. The setpiece is very good as well; they have a great lineout and a great scrum. When they get going forwards they definitely have some dangerous back three players as well who can finish off tries.